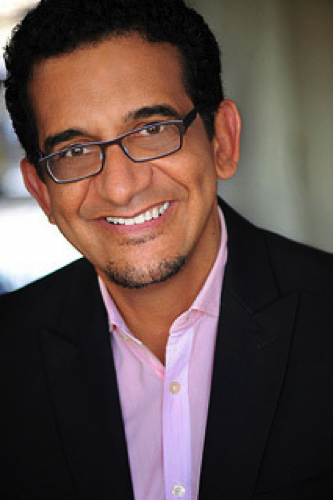 The Center’s founder, Edison de Mello, MD, PhD, is a board certified Integrative Physician by the American Board of Integrative Medicine and a licensed psychotherapist by the California Board of Behavioral Sciences. He practiced psychotherapy for 13 years before entering medical training and now practices and teaches evidenced- based integrative medicine. Dr. de Mello’s PhD dissertation, entitled “Gut Feelings – A Psychosocial Approach to Gastrointestinal Illness,” inspired his conception of a center where psychology would be combined and fully integrated with Western and Eastern medicines. The de Mello Institute was formed in 1996 with the goal of employing safe and complementary approaches to healthcare while also addressing a person’s emotional and spiritual health. Fully committed to these goals, Dr. de Mello entered residency in 1999 at the prestigious Albert Einstein College of Medicine at Beth Israel Medical Center Urban Family Residency program in New York City, including training at the Manhattan-based Center for Health and Healing. His training utilized a biopsychosocial model and offered innovative experiences in the integration of complementary medicine into the practice of Family Medicine. Upon completing his medical training, Dr. de Mello expanded the de Mello Institute and founded the Akasha Center for Integrative Medicine. Born in Rio de Janeiro, Brazil, Dr. de Mello was introduced to the practice of complementary medicine by his beloved grandmother, Nana, at a very early age. Dr. de Mello remembers her as a natural healer who, with her many teas and potions, always had a remedy for the common everyday malady. Nana practiced her “medicine” with so much love and dedication that her simple presence, caring manner, smile, and unwavering respect for people were healing and inspiring. Nana’s approach to healing and her loving mentorship were so profound for Dr. de that in 1979, when he entered college, a career in healthcare was a natural choice. He graduated from the University of North Texas in 1982 with a bachelor’s degree in Psychology and went on to earn an MA degree in Psychology and a doctoral degree in Health and Human Services/Psychology. For his master’s degree thesis Dr. de Mello was the co-author of a Head Start program funded by the National Institute of Mental Health entitled “Strengthening Head Start Families through Mental Health Intervention.” Intrigued by the bio-psychosocial aspects of gastrointestinal disease – the subject of his doctorate dissertation – Dr. de Mello entered Ross University School of Medicine in 1991 with the ultimate goal of creating an innovative medical Center that would bridge the gap between Western and Eastern medicines. Knowing that a solid and well-respected training in evidenced-based Integrative Medicine was crucial for his vision of such a center, Dr. de Mello completed most of his medical student clinical rotations at renowned University of California, San Francisco School of Medicine hospitals. Envisioned as a “healing sanctuary,” where all parts that compose a person, namely mind, body and spirit, are equally addressed when treating and preventing disease, The Akasha Center exemplifies Dr. de Mello’s vision and strong commitment to the practice of integrative medicine. His goal is to help every patient get the best out of the integration of science-proven approaches to medicine, drawing from both the technological advances of the West and the ancient wisdom of the East. Dr. de Mello is fluent in Portuguese and Spanish and in conversational French. He is on the advisory board of several organizations such as Helpquide.org in Los Angeles, A.C.A.M. Midwifery Program in Guatemala (www.mayamidwifery.com), and the Sun Ray Peace and Meditation Society in Vermont (www.sunray.org). He is a member of the Academy of Integrative Health and Medicine (AIHM), The Institute of Functional Medicine (IMF), The American Academy of Family Physicians (AAFP), The American Association of Integrative Medicine, and Physicians for Social Responsibility. In addition, Dr. de Mello has written several articles for different publications and has most recently written a chapter on the microbiome and food addiction for Dr. Andrew Weil’s upcoming new book as part of his Integrative Medicine library.